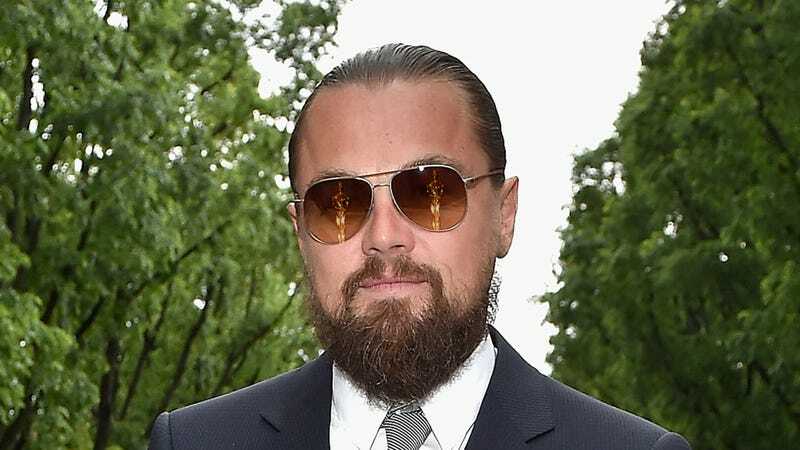 Which Oscar Winner Has Been Taunting Oscarless Leonardo DiCaprio For Two Months? Two months ago, an Imgur user named IHasAnOscar posted a photo of him or herself holding an Academy Award statuette in front of an image of the notoriously Oscarless Leonardo DiCaprio. “Yes, it’s real,” the winner captioned it. Here’s this anonymous person, bragging about their superiority to Leonardo DiCaprio in one, very specific arena. The person could be miserable, penniless, and on the verge of death - but they have an Oscar and Leo doesn’t. Though poorly lit and badly composed, the images are semi-satisfying shade. They have a history. James, a sort-of Hollywood father figure for Leo, helped turn him into the Oscar-losing man he is today. This is probably just more of the good-natured ribbing they’ve been doing since the 90s. James Cameron is a busy man. He’s currently writing/in pre-production on three Avatar sequels. Three! Avatar 2, Avatar 3, and Avatar 4. A man with more time on his hands would have made more than two versions of this image, and James Cameron simply does not have room in his schedule to revisit this joke more than once every two months! The poster described himself as shy, and James Cameron is shy. How do I know James Cameron is shy, you ask? Because I cannot remember the last time I saw or spoke to him. Can any of you? Probably not! Sounds shy to me. James Cameron loves dark places. The two photos were taken in dark rooms, and it’s very likely that James Cameron has been to the bottom of the ocean—one of the darkest places on the planet—more times than any other Oscar winner. He was the first man to go to the bottom of the Mariana Trench alone, for god’s sake. James Cameron is rude. Just ask Kathryn Bigelow! James Cameron is al- oh, who am I kidding. It’s probably Dame Judi Dench.